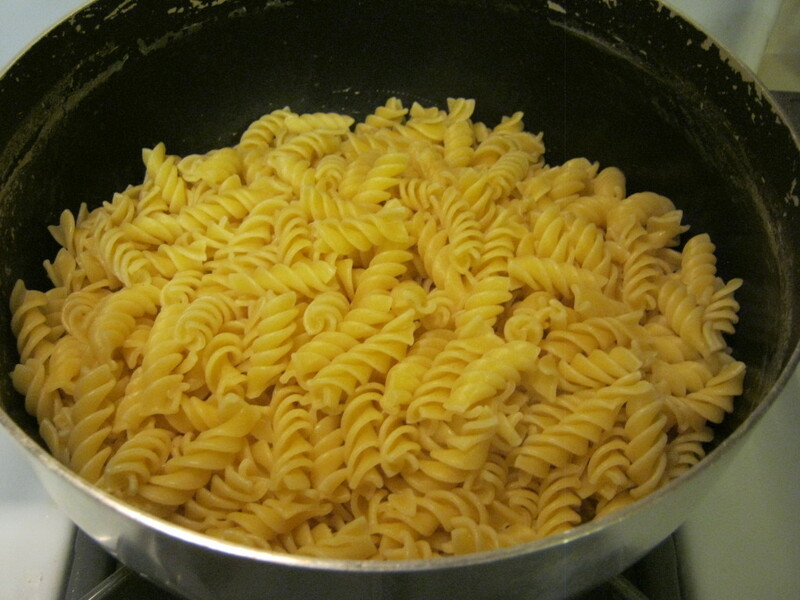 Cook the noodles and let them sit until they cool to room temperature. 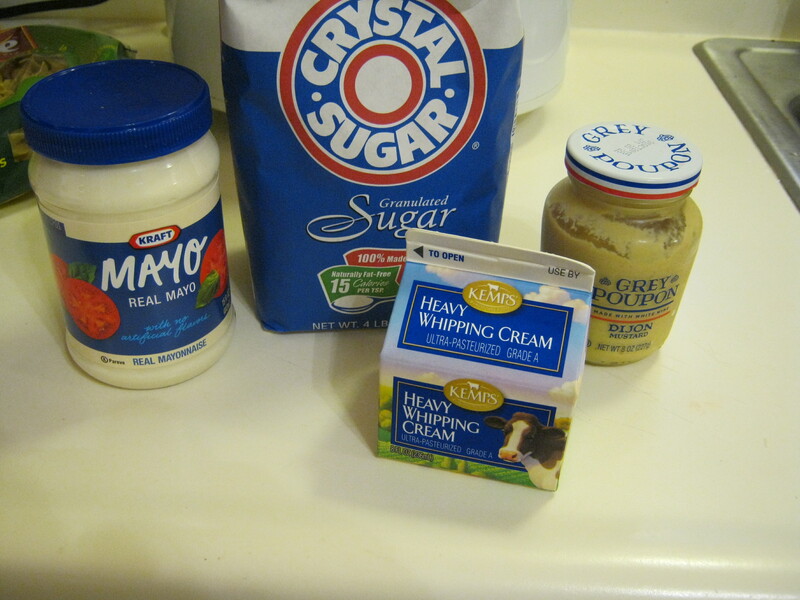 In the meantime mix together the Mayo, sugar, mustard, and Heavy whipping cream in the small bowl. 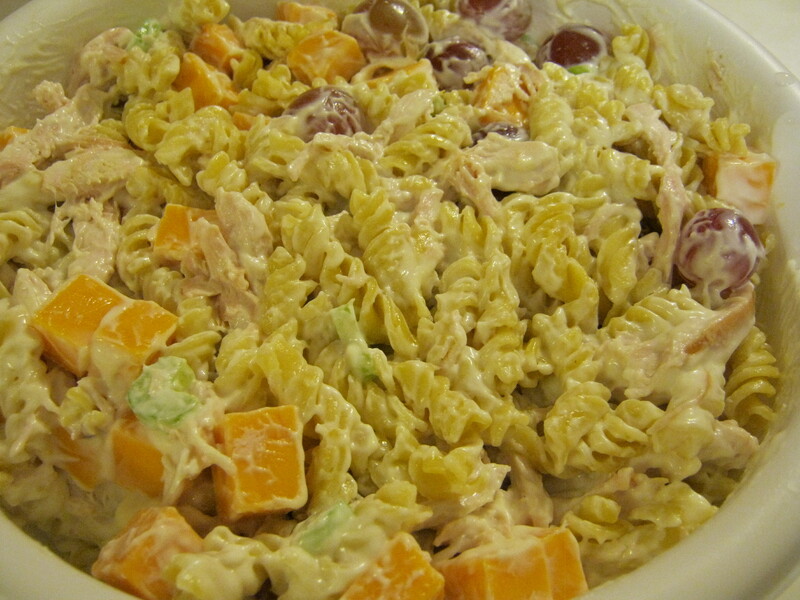 Put this into the fridge to cool. When the noodles are cool and the mix is chilled start to put everything together. Put the noodles in the large bowl. 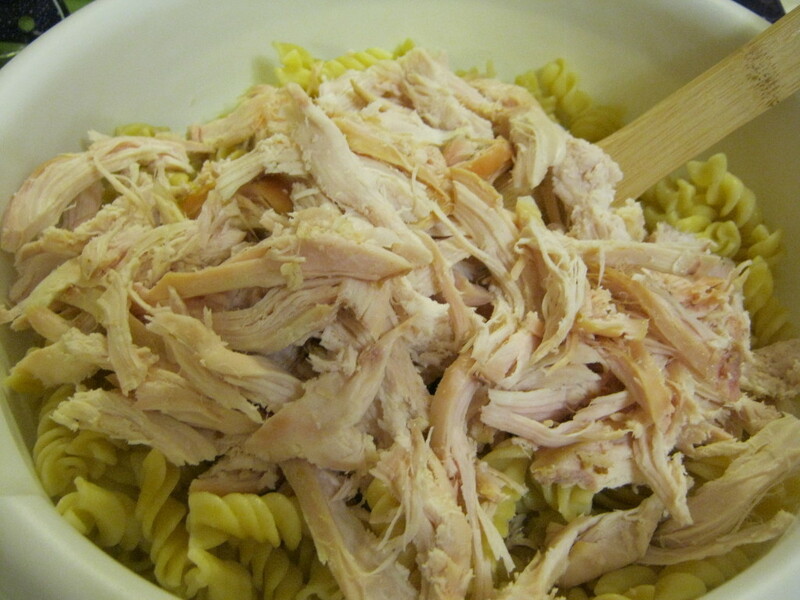 Pull the chicken apart and add it to the bowl. Chop up the celery stick and add it. 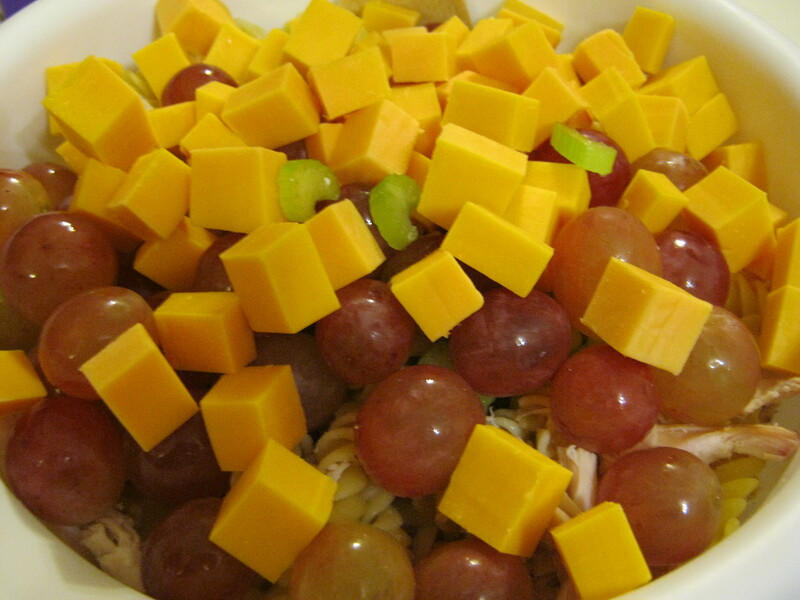 Cube the cheddar cheese and add it to the bowl. Add some grapes. Top with the dressing from the fridge and mix. 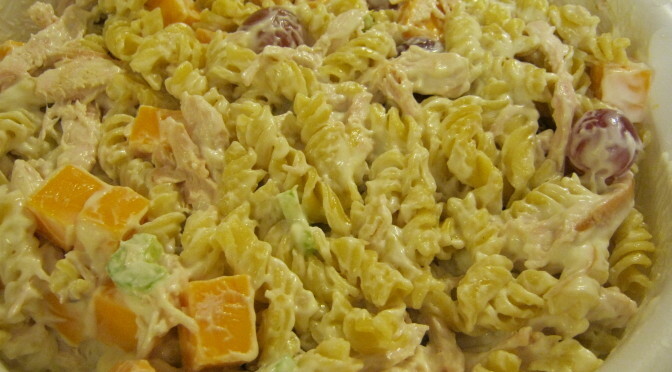 Put it back into the fridge until you are ready to serve it.